It was particularly interesting since a significant portion of LINQ came from the Functional Programming would. I would recommend anyone who wants a deep understanding of Linq and the new C#/ VB compiler features to read this book. The really scary thing is that the book was first published in 1988. So I guess LINQ was really invented twenty years ago. Brian Beckman told me it was actually cleaned up in the 1980's, but invented in the 1920's as Lambda calculus and refined in the 1950's for computers. 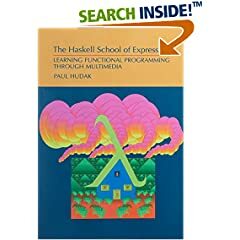 Learning Haskell should be interesting. If anyone knows of a Windows command line interpreter for it, please drop me a note. WinHugs (http://cvs.haskell.org/Hugs/pages/downloading.htm) has both a GUI and command-line version. 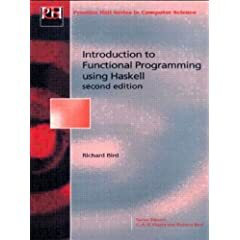 Maybe check out Simon Thompson’s "Haskell – The Craft of Functional Programming" (ISBN 0-201-34275-8) as well, very accessible material covering functional programming in general and Haskell in particular.